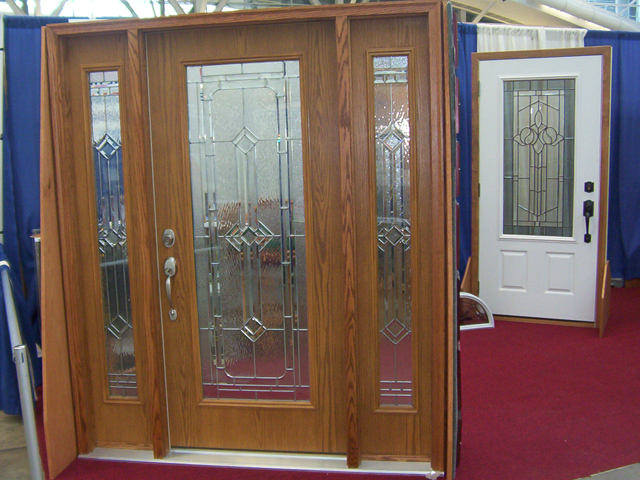 Pittsburgh Home & Garden Show. 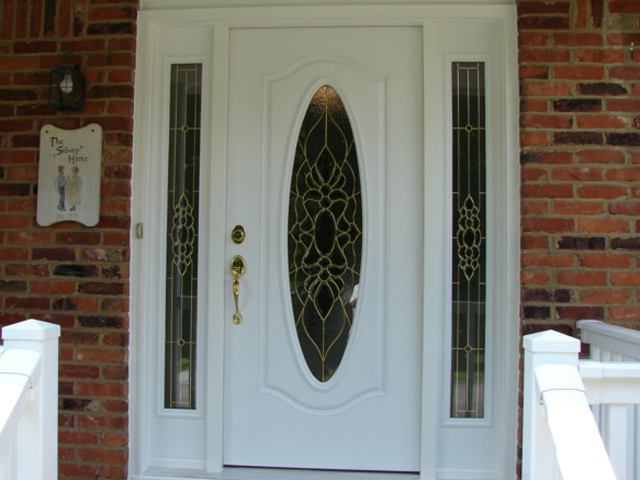 Fiberglass Door painted white with madrid glass. 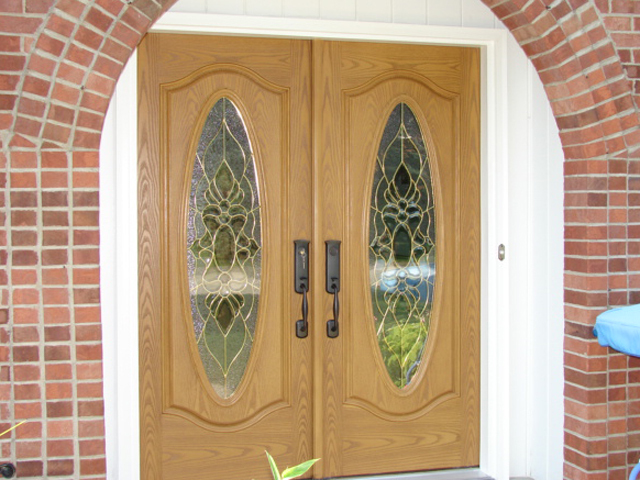 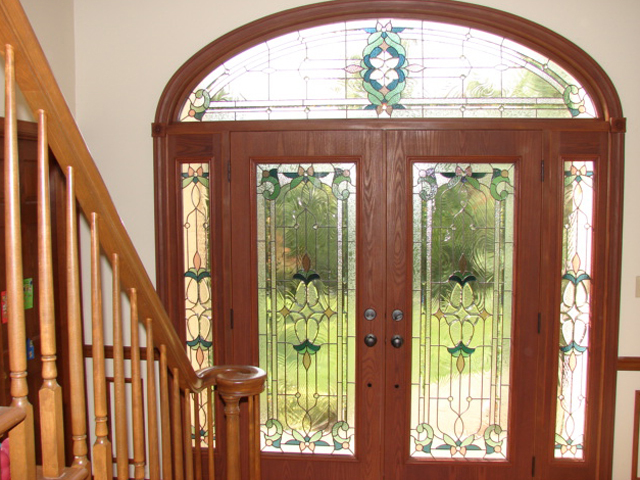 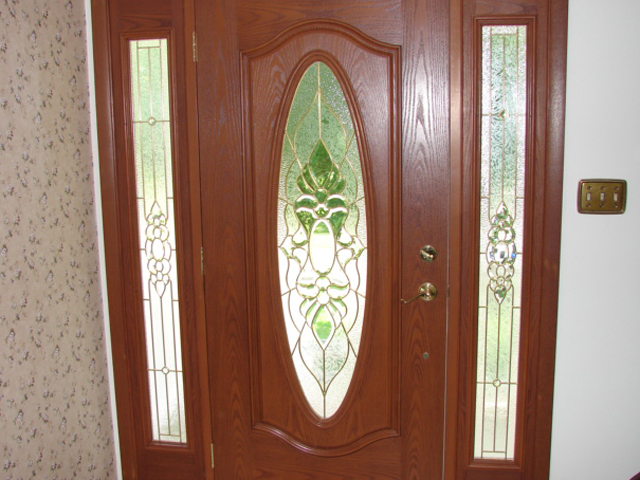 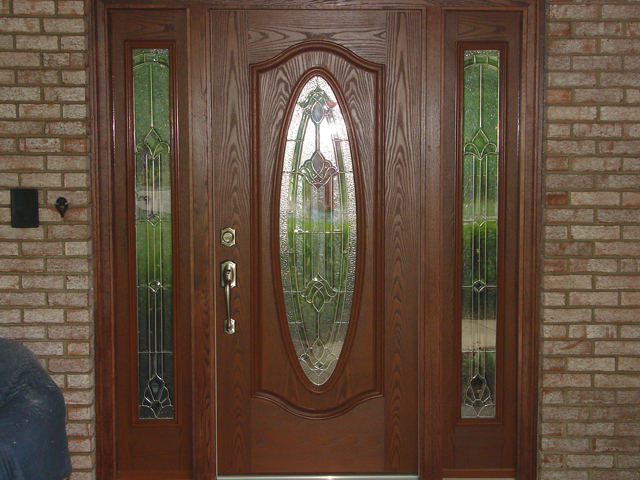 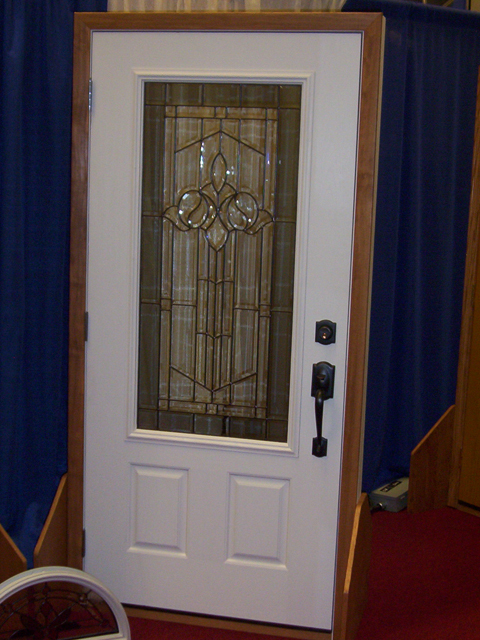 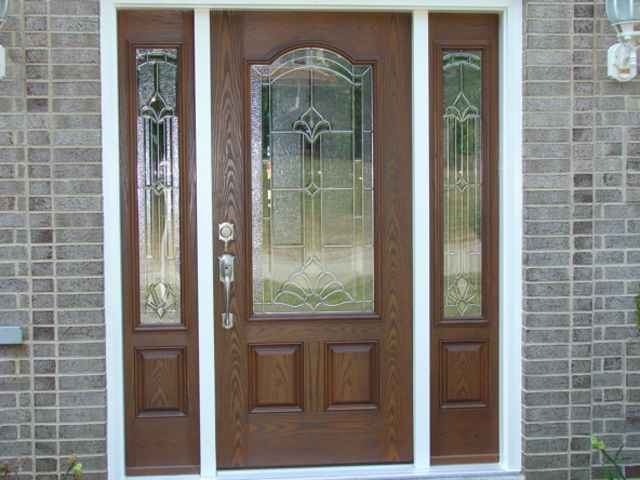 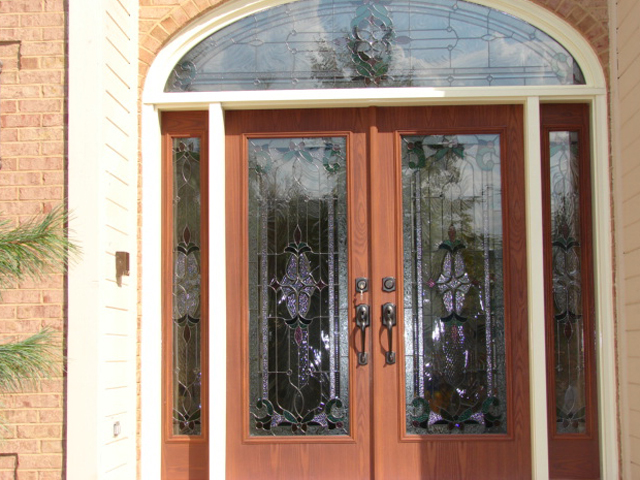 Pittsburgh Home & Garden Show display door with aurora glass finished in natural oak stain with oak jambwork. 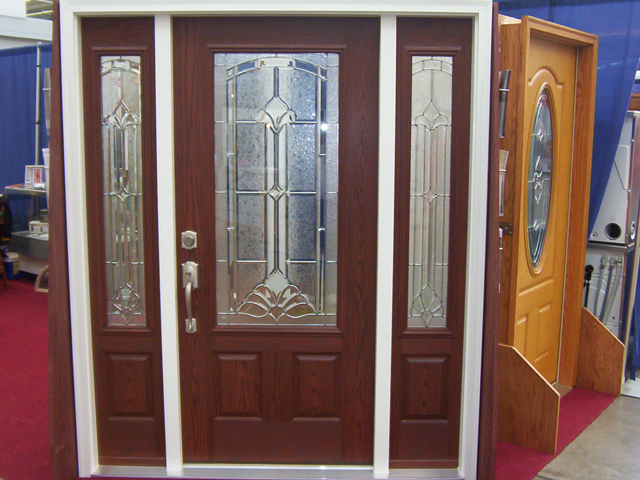 Pittsburgh Home & Garden Show Display door in marquise glass with mahogany stain with pine jambwork wrapped in aluminum clad.